We now have our eighteenth-century watercolours and sketches available via an online catalogue – www.depictingderbyshire.uk The website, which has been funded by a grant from the Paul Mellon Centre for Studies in British Art, showcases art works of Derbyshire made between 1700-1820. These works are searchable via a map function, through keywords or through a full text search. Alongside the collections from Buxton Museum, there are also works from Derby Museums, the Derbyshire Record Office, Chatsworth House, The Arkwright Society and The Wordsworth Trust. This in an on-going project and we hope to add further pictures online in the coming year. The museum’s oil paintings can be searched via ArtUK. We will be tweeting watercolours from our collections every Wednesday using the #watercolourwednesday and #depictingderbyshire hashtags. Derbyshire’s beauty spots feature in many eighteenth-century sketchbooks. These books usually present views of Matlock Bath, Dovedale and various country houses. They don’t however give much insight into the practicalities of travelling around the County as logistical depictions are usually overlooked, in favour of sketches of the natural or built environment. We have recently ‘re-discovered’ a sketchbook in the collection at Buxton Museum which gives a comic insight into the art of travel around 1800. We know that many visitors to the County would have arrived via stage coach. 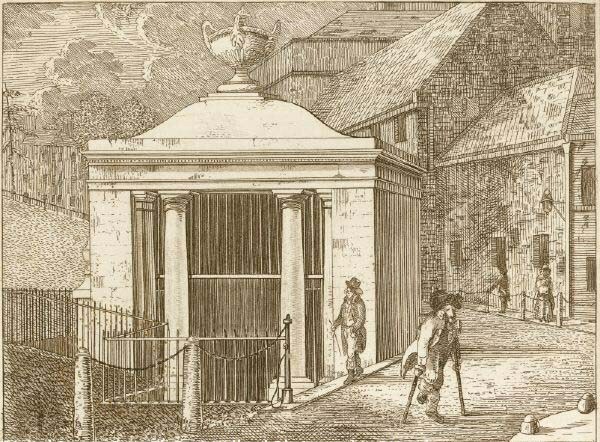 When Thomas Sandby travelled to Derbyshire in 1777, he and his companions fist took a coach from London to Nottingham. * They stopped in St Albans on their way, where they had a rather dismal dinner, ‘Here we stayed about half an hour to sup on what was spread on the table against our arrival, none of the best you may be sure, for those who travel in a stage coach are generally look’d upon as nobody and must take up with the leavings of others guests, such was our fare’ (British Library, Add MS 42232, fol. 1). 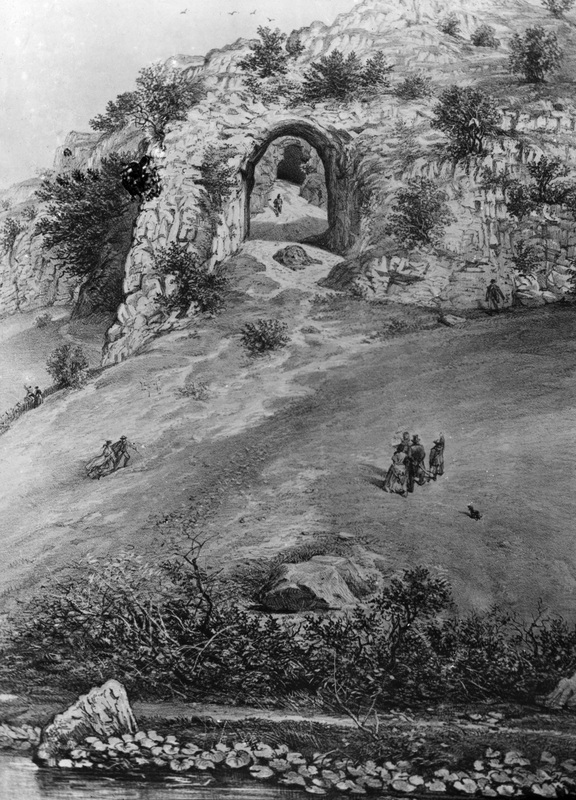 Although Sandby complains that stage coach travellers were looked down upon, the benefit of a coach was that it at least offered some protection from the weather. John Skinner entered Derbyshire from Cheshire via the Cat and Fiddle which he dubs, ‘the most dreary road imaginable’. His approach ‘was rendered still more unpleasant by the rain and sleet driving with violence in our faces accompanied by so strong a wind we found some difficulty in sitting our horses’ (John Skinner, British Library, MS 33640). Once in Derbyshire, donkeys could be rented to take tourists to various sites. When a woman visited Matlock Bath in 1807 she hired a donkey and rode to Cromford to admire Richard Arkwright’s house. She notes in her diary that the donkey was ‘one of the most tractable’ she had ever mounted (Journal 1807, Beinecke Library, Osbournd433). Others appeared to have fared less well with their rented steeds. Buxton Museum and Art Gallery are delighted to have purchased a pencil, pen and ink sketch by John Nixon (c.1750-1818). We had tried to buy this sketch back in 2011 but were outbid and had assumed that was the end of the matter. Four years later, with thanks to serendipity and a generous dose of altruism from a member of the public, the sketch is now in our collection. 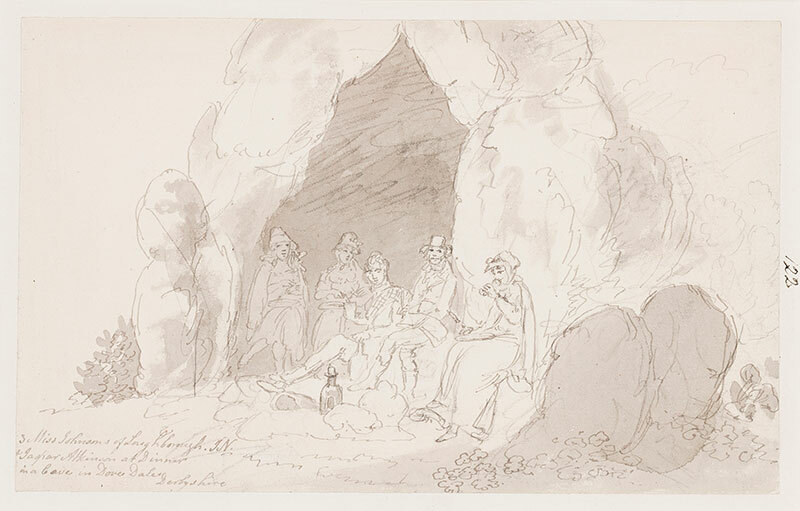 This sketch is important as it shows the unusual scene of five figures enjoying a picnic under the arch of Reynard’s Cave in Dovedale. An inked inscription in the bottom left reads, ‘3 Miss Johnsons of Loughborogh, J.N and Jaspar Atkinson at Dinner in Dove Dale, Derbyshire’. J.N (John Nixon) looks directly at the viewer and has a sketchbook upon his lap whereas Jaspar Atkinson, the more dapper of the two, is depicted wearing tartan across his shoulder. The three Miss Johnsons are shown eating and drinking in their long skirts and the scene is completed by the large flagon which sits in the centre. We know that Derbyshire was a popular tourist attraction during this period yet we possess very few visual representations of the tradition. Artists to Derbyshire did include figures in their works however these were usually local peasants, shown in agricultural or industrial pursuits. Nixon’s sketch shows us the visitors up close and allows for an insight into the diversions and attire of these tourists. To arrive at their picnic spot these five must have climbed the steep scree path up to the cave, no doubt a tricky task in a long dress. They would probably have been accompanied by a guide, who may even have had the unenviable task of lugging up their picnic. The sketch is currently on display in the Boyd Dawkin’s Study at Buxton Museum where it is shown alongside the Reynards Cave coin hoard. Buxton Museum and Art Gallery is thrilled to announce its latest eighteenth-century acquisition. 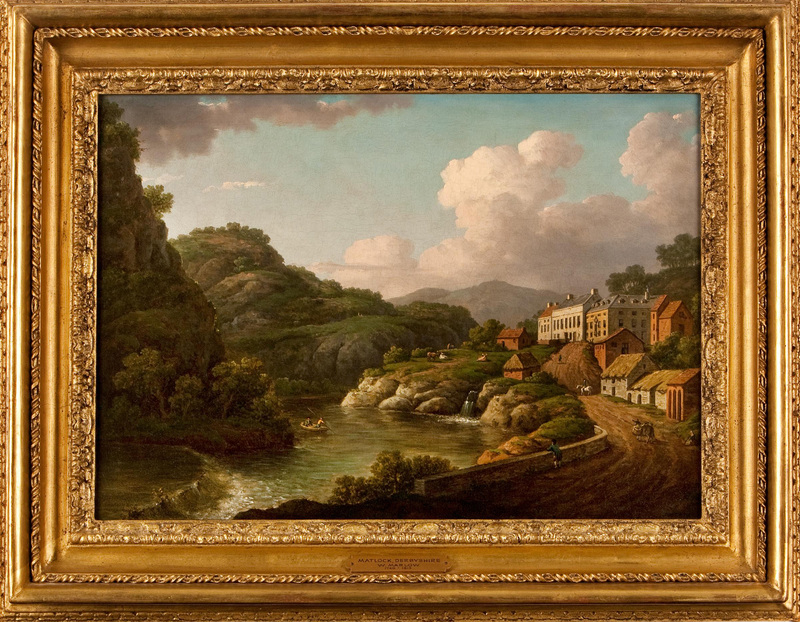 The Museum was successful in securing funding from the Museum Association’s Beecroft Bequest, to acquire a watercolour of Dovedale painted by Mary Mitford. This watercolour is important as it is a rare and early example of a woman artist painting in Dovedale. Little is known about the life of Mary Mitford, she was born around 1742 and appears to have been working up until around 1774. 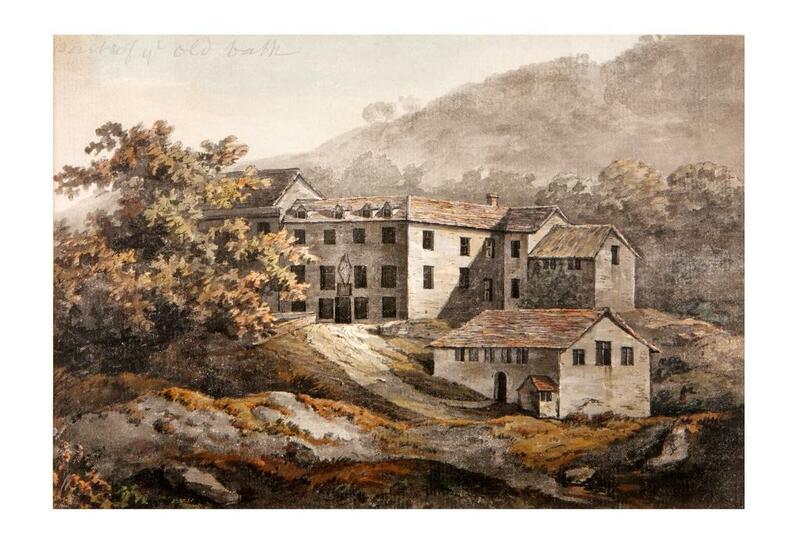 We don’t know when Mitford visited Derbyshire but we do possess another watercolour by her, showing the old baths at Matlock Bath. 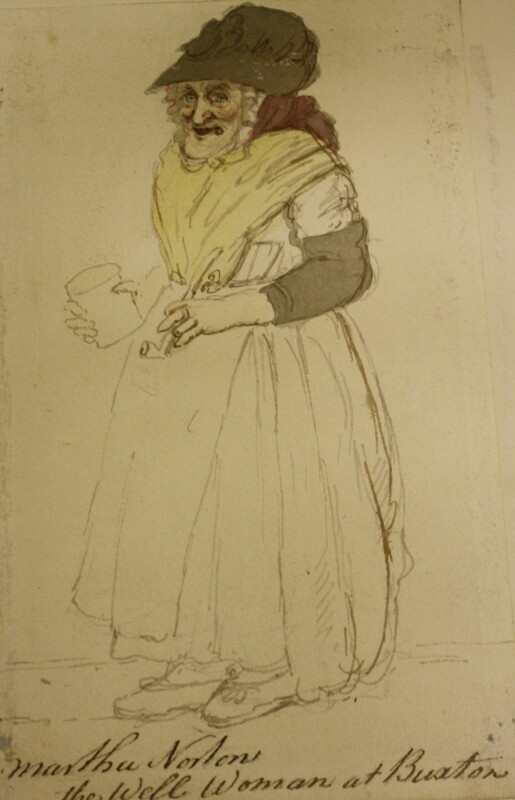 Mitford’s brothers, Colonel William Mitford and Lord Redesdale were both students of William Gilpin and Mary’s watercolours follow the Gilpin tradition. Kim Sloan in ‘A Noble Art’ (2000) has suggested that she was a pupil of William Marlow. This is interesting as Marlow painted the bath complex in Matlock Bath too, a painting that we bought as part of the Enlightenment! project in 2011. Mitford ‘s work is poorly represented in museum collections. 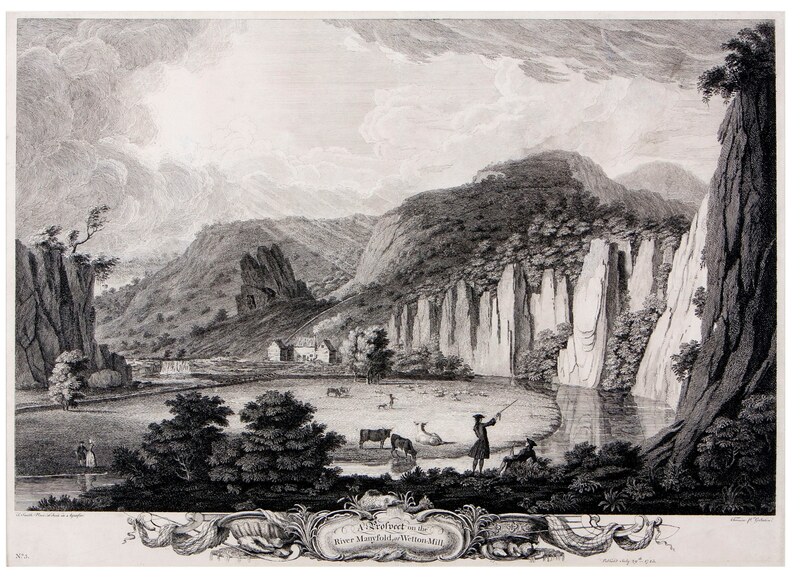 The British Museum has a watercolour attributed to her showing a scene in Switzerland, which is very similar in style to the Dovedale watercolour. This summer I was awarded a Jonathan Ruffer Curatorial Grant to research 18th and early 19th century tourism to Derbyshire. I am particularly interested in the artists who visited the County; whether they were professionals like Joseph Farrington or the army of amateurs who filled their sketchbooks with views of the picturesque and the sublime. I have also been looking at travel journals from the period which are full of descriptions of the Peak; its towns, villages, natural wonders and inhabitants. Some of these journals show travellers with an antiquarian interest while other are ticking of the county’s country houses or subterranean delights. 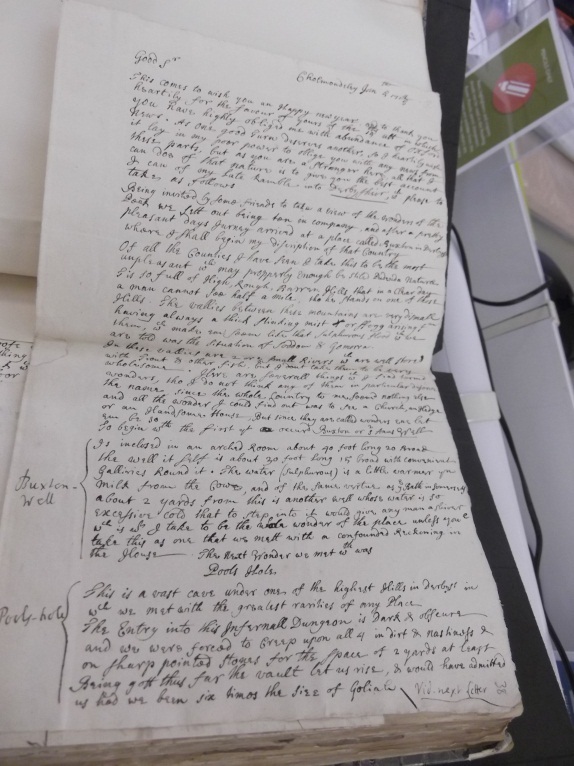 Letter from John Egerton to Reverend John Pointer, dated 1715. Bodleian Library Ms Eng. Letters d.77 (fols 37-40). *The Wonders of the Peak refers to the seven wonders of Derbyshire popularised by Charles Cotton and Thomas Hobbes and not Buxton Museum’s own gallery of the same name. One of the earliest purchases for the Enlightenment! 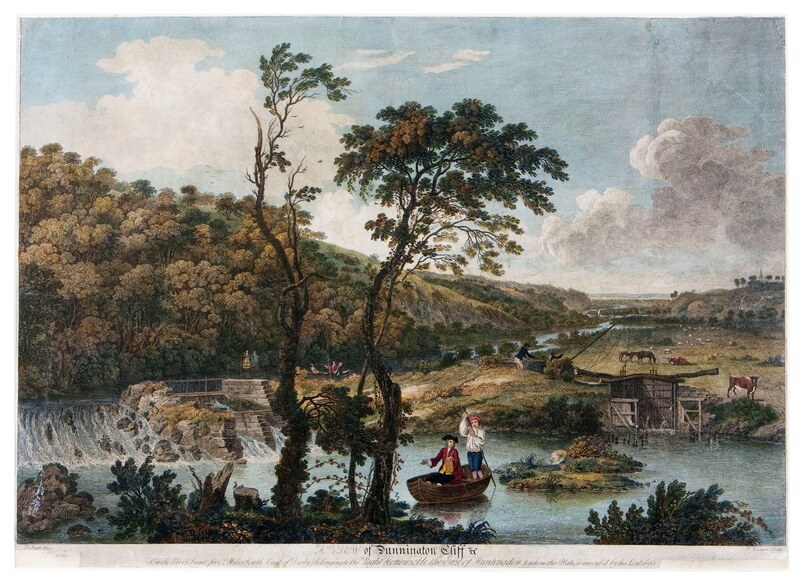 project was back in 2009 when we bought an engraving after Thomas Smith of Derby (1721 -1767) of A Prospect on the River Manyfold at Wetton Mill. 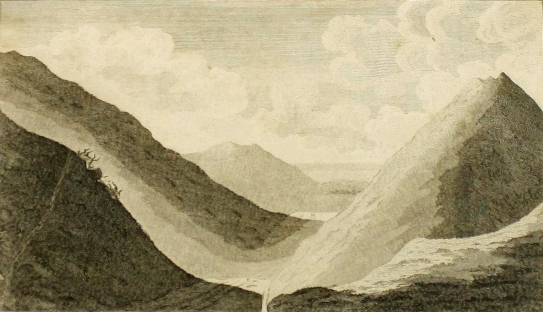 This print was published as part of a set in July 1743 titled ‘Eight of the most extraordinary Prospects in the Mountainous Parts of Derbyshire and Staffordshire commonly called the Peak and Moorlands’. They were popular engravings and smaller version soon appeared in magazines. The engravings were all after work by Thomas Smith and were engraved by a couple of different engravers including Vivares and Granville. 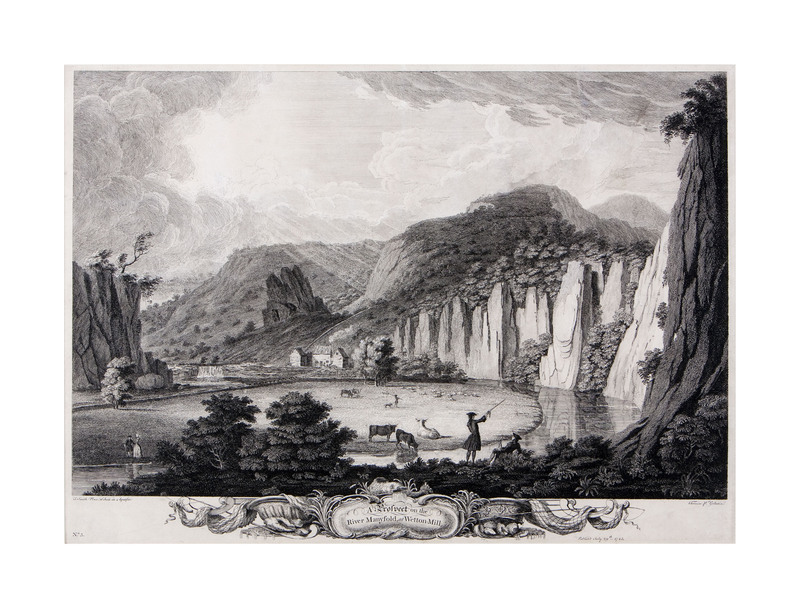 We have four engravings from this run plus a couple of others after Thomas Smith including this one of Dunnington Cliff, that we also bought in 2009. This was published in 1745 in ‘A set of four views in Derbyshire’. With Valentines Day nearly upon us, I thought I’d share this post from my colleague Jess. Moral of the story? Wear voluminous skirts ladies! Dean Langton plummeted to his death near Lover’s Leap, Dovedale. Would he have survived if he was a cross-dresser? We’ve just set up our own YouTube channel, so thought I’d share the Dovedale video that we had commissioned for the Enlightenment! project. It’s not quite the peaceful idyll that you might have been expecting…. Last week John Henry, chair of The History of Geology Group came to look at some of the maps we have in our collection. The highlight of his visit was seeing the horizontal section showing the geological strata which we bought back in 2012. The map was produced by Elias Hall and published in two sections by William Phillips in 1824 and 1834. John kindly pointed us towards an article on Elias Hall that was published by the Mercian Geologist Journal in 2011. The article written by Hugh S. Torrens and Trevor D. Ford gives a lot of detail about the life and pioneering works of Elias Hall. Included are discussions on the geological models which Hall created, first carved from wood and later cast in plaster. The article contains a description by John Farey of Hall showing a model to the Geological Society. Unfortunately the models didn’t meet with the best reaction being criticised for their ‘injudicious use of rather too glaring colours’ and that they called to the mind ‘a tray of Guts and Garbage in a Fishmonger’s or Poulterer’s Shop’. I am not sure how similar the colours on the models are to our strata map, but ironically we’ve chosen the colours from the map as our palette for the Collections in the Landscape project. Hall came under further criticism being described as ‘a queer-looking old man, with white hair and lame, and has no notion of lecturing, and he likewise speaks very broad High Peak’. What’s wrong with speaking in broad High Peak, I hear you exclaim? Sadly the article confirmed that, as far as anyone knows, none of Hall’s models have survived. Go check your attics people!